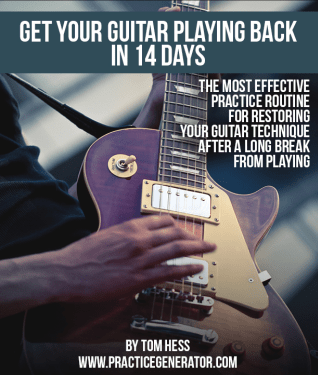 You are about to get the exact, step-by-step practice schedule that will restore your guitar playing in 14 days. Fact is, doing this doesn't take longer than 14 days, but trying to do it in less time can permanently damage your hands and develop very BAD guitar playing habits that you didn't have in the past! So BEWARE and follow THIS schedule exactly! Know EXACTLY what to do after your guitar technique is restored, to make sure that you NEVER get off track with your practicing again! Get FREE access to the guitar practice schedule you need right now. Simply enter your name and email and click the ‘Give Me Access Now’ button to enter. All information is kept 100% private and confidential.